Steve’s breakdown: On August 28th, our headline was “Start revving up your engines for this expected ad review“. We hope you were listening because then you’d already be in this pitch. Sounds like the creative portion of the pitch will be easier to get in to. SAN FRANCISCO, CA: Uber is seeking a global creative agency and reviewing its media, according to people with knowledge of the situation, just four months after Bozoma Saint John took the marketing helm at the ridesharing company. The creative review is for Uber’s global work and will not affect Deutsch‘s North American account, Ad Age has learned. Deutsch won the North American creative business last summer following a review. It was not immediately clear if one or multiple agencies previously handled global creative work for Uber, which did not respond to inquiries for comment. According to people with knowledge of the matter, Uber is also in talks with multiple media agencies to switch up its media agency partnerships, but it was not immediately clear if the discussions regard the brand’s U.S. or global media business. The tech company’s hiring of Saint John, former Apple Music head of global consumer marketing, as its chief brand officer in July seemed to signal a commitment to repair its image. Saint John debuted her first big marketing move this week with an NBA-themed national ad campaign. Uber has had a rocky year. Following numerous allegations of harassment and discrimination at the company, founder and CEO Travis Kalanick resigned following a shareholder revolt in June. Also earlier this year, the U.S. Department of Justice reportedly began a criminal investigation into Uber’s use of software to help drivers evade authorities. Uber has also recently worked with Dentsu Aegis Network-owned Fetch Media — the tech company filed a lawsuit against the agency in September, claiming that Fetch improperly billed Uber for “fake” online ads and took credit for app downloads it had nothing to do with. 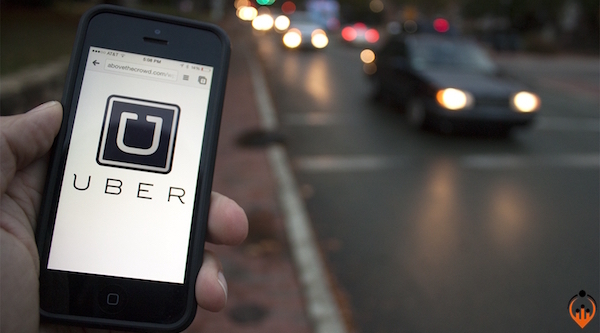 Shortly after, Fetch claimed it had terminated its relationship with Uber due to non-payment. The agency said this week it no longer works with Uber. Uber Technologies Inc. spent an estimated $72 million in measured media in the U.S. in 2016, according to Kantar Media.